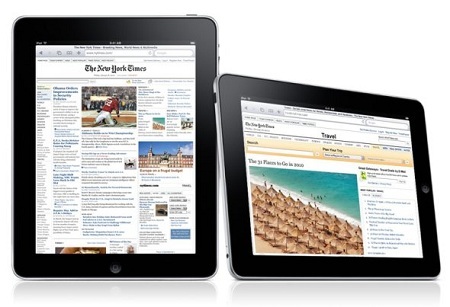 The recent release of the Apple iPad tablet computer has set the world abuzz – and not just the technology world. Industry experts say that the iPad is a game-changing device that can revolutionize the way we live, play, consume media content, and use the Internet. In other words, it’s not just for tech lovers and Apple fans; it’s also for regular people who aren’t exactly savvy in gadgets. Furthermore, many marketers are already pointing out the iPad’s potential impact on the eCommerce industry. The eCommerce industry is already pretty big right now, but it’s about to get bigger: online sales are projected to reach $335 billion by the year 2012 – and that’s in the U.S. alone. With the arrival of the Apple iPad, it’s safe to assume that new trends, technologies, and platforms supporting the online retail industry will continue to emerge. Here’s why. The Apple iPad is a state-of-the-art media consumption device that ushers in new ways of delivering and consuming traditional media content. The whole experience will be a lot richer. Sure, the device hosts most of the traditional marketing channels – like search engines, mobile applications, E-mail, and online shopping carts and catalogs – but with the iPad (and its large, interactive touch-screen display), there are new opportunities for marketers, retailers, and businesses to enhance their campaigns. (We’ve previously posted an article about how iPad can change E-mail marketing.) Moreover, traditional media like news, TV, movies, music, magazines, and books are going to be consumed in a way that’s richer and more interactive than ever. And because of that the iPad is poised to create new ways of putting across marketing and advertising messages. Thanks to the simplicity of its design, the iPad has an organic feel, and it promotes a fast, seamless, and enjoyable browsing experience. The experience of shopping online is bound to be transformed, too. Just imagine looking at a car showroom using the iPad. At your fingertips you can view the latest Porsche and take it for a spin. No need to keep clicking or scrolling down. No need for a mouse. The arrival of the iPad thus heralds the opportunity for retailers, manufacturers, businesses, and eCommerce sites to display what they can offer in a way that’s never been done before. It’s the goal of Internet marketers and online retailers to convert their website visitors into customers. Now that the iPad has arrived, more and more e-Commerce sites are going to be optimized for the device. And why not? An album review on the iPad’s newspaper reader may be a click away from the iTunes store. A YouTube interview with a popular novelist may lead directly to Apple’s iBookstore. The easier and smoother the browsing experience is, the greater the chances marketers and retailers have at conversion. Pretty soon, we’re also going to see an increasing number of Magento store owners launch mobile sales channels optimized for the Apple iPad. Pricing terms between publishers and advertisers are also being affected by the arrival of the Apple iPad. Case in point: Amazon recently agreed to let Simon & Schuster and HarperCollins Publishers price their Kindle bestsellers at the $12.99 to $14.99 range. Now, anyone who’s been shopping at Amazon for e-books will be familiar with their usual $9.99 pricing. But with the arrival of the Apple iPad – which is as viable an e-reader as any – Amazon’s Kindle now has a much-hyped competitor to deal with. Most likely, the reason why Amazon caved in to publishers’ demands for higher pricing is to ensure that it would be able to sell the same books for its Kindle that Apple will be offering for its iPad. The iBookstore is generating a lot of hype. That’s because this new app on the iPad can potentially change the relationship between authors and readers as we know it. Authors and other publishers of original content can now produce and distribute without having to depend completely on agents, art directors, and publishing houses. 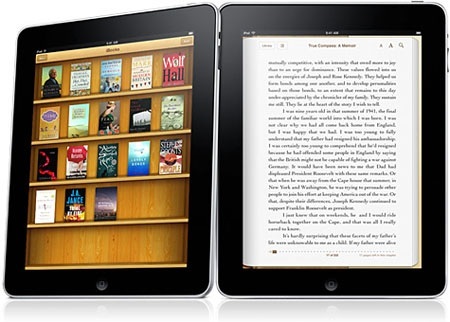 With the iPad’s capabilities, reading e-books also becomes a much more visually appealing – and also cheaper – alternative to reading on paper. Soon, more and more authors will begin to embrace electronic technology as a means of sharing and selling their works. I hope the new iPad Apps will not cost too much. Some of the Race Games are expensive but have a nice graphic. The iPad is nice thing to relax. I like it.